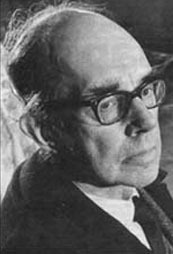 Francis Claud Cockburn was a radical British journalist controversial for his communist sympathies. He was the cousin of novelist Evelyn Waugh. The son of a British diplomat, Alexander Cockburn, Cockburn was born in Peking, China on 12 April 1904, and educated at Berkhamsted School, an independent boys' boarding school in Hertfordshire, England. After obtaining a degree from Keble College, Oxford, he became a journalist with The Times. He worked as a foreign correspondent in Germany and the United States before resigning in 1933 to start his own newsletter, The Week. There is a story that during his spell as a sub-editor on The Times, Cockburn and colleagues had a competition to devise the most accurate yet boring headline. Cockburn claimed the honours with "Small Earthquake in Chile. Not many Dead." However, this is apocryphal; no copy of The Times featuring this headline has been located. Under the name Frank Pitcairn, Cockburn contributed to the British communist newspaper, the Daily Worker. In 1936, Harry Pollitt, general secretary of the Communist Party of Great Britain, asked him to cover the Spanish Civil War. He joined the Fifth Regiment to report the war as a soldier. While in Spain, he published Reporter in Spain. Cockburn was attacked by George Orwell in Homage to Catalonia (1938). Orwell accused Cockburn of being under the control of the Communist Party and was critical of the way Cockburn reported the Barcelona May Days. According to the editor of a volume of his writings on Spain, Cockburn formed a personal relationship with Mikhail Koltsov, "then the foreign editor of Pravda and, in Cockburn's view, 'the confidant and mouthpiece and direct agent of Stalin in Spain'." Cockburn was an opponent of appeasement before the Molotov-Ribbentrop Pact, and the government banned The Week for his criticism. The journal ceased publication shortly after the war began. Among his novels were The Horses, Ballantyne's Folly, Jericho Road, and Beat the Devil (originally under the pseudonym James Helvick), which was made into a film directed by John Huston with script credit to Truman Capote (the title was later used by Cockburn's son Alexander for his regular column in The Nation). He published Bestseller, an exploration of English popular fiction, Aspects of English History (1957), The Devil's Decade (1973), his history of the 1930s, and Union Power (1976). His first volume of memoirs was published as In Time of Trouble (1956) in the UK and as A Discord of Trumpets in the U.S.. This was followed by Crossing the Line (1958), and A View from the West (1961). Revised, these were published by Penguin as I Claud in 1967. Again revised and shortened, with a new chapter, they were republished as Cockburn Sums Up shortly before he died.